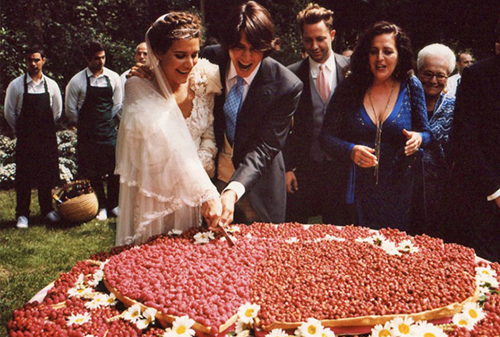 We are absolutely and utterly inspired by our ultimate bohemian muse Margherita Missoni and her wedding to race car driver fiancé Eugenio Amos. The bride wore a stunning Giambattista Valli long-sleeved gown which was made using Missoni silk and embellished with embroideries and flowers. We are absolutely in love with this fairytale-like wedding at Brunello.